A large portion of our lives is spent on the road. And while we spend most of our time on the road wishing we weren’t there, a few tricks and tips can make each minute an enjoyable and even worthwhile experience. While the traffic and public transportation situation in the country hasn’t changed a bit, complaining doesn’t help. Kick off your daily journey by not complaining and soon enough, you will find yourself calmer. Complaining doesn’t change anything so might as well enjoy the route, or better yet, leave a little earlier to avoid the traffic blues. Long unavoidable commutes are made more bearable when we have someone to share it with. Three-hour traffic jams, or even the hour spent waiting to catch a bus or a taxi becomes an adventure with good friends. Plan your day trips with friends or close coworkers to add a little fun on days when you expect traffic to be heavy. Having a friend during these times comes in handy. Music is everyone’s saving grace. Make your car trips more exciting with playlists that pump up your energy. A different playlist everyday lessens the possibility of getting bored while on the road. Creating a theme for each day can also make car trips more exciting. You can also use your time to learn something new; podcasts on interesting topics are usually the best way to do this while on the road. Avoid getting hungry on the road by filling up your “on-the-road” goodie basket with hunger-curbing treats. From chips, nutribars, and even your favorite fruits, your goodie basket would definitely be a lifesaver during rush hour. Nestea Ready to Drink (RTD) is a favorite companion of commuters everywhere. 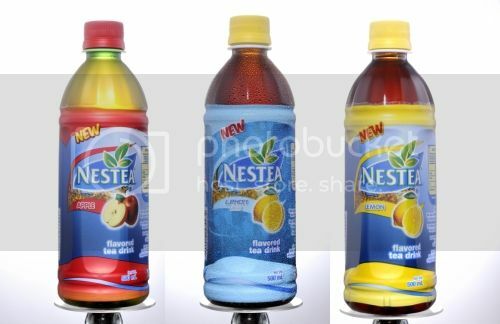 Making a comeback from the 1990s, Nestea RTD refreshes with three flavors: Lemon, Apple, and Lemon Ice. Conveniently packed in an easy-to-bring bottle, Nestea RTD is the perfect partner for the long hours on the road. So whatever the traffic situation, go ahead, take the plunge anytime, anywhere.